SARAJEVO, BOSNIA AND HERZEGOVINA. 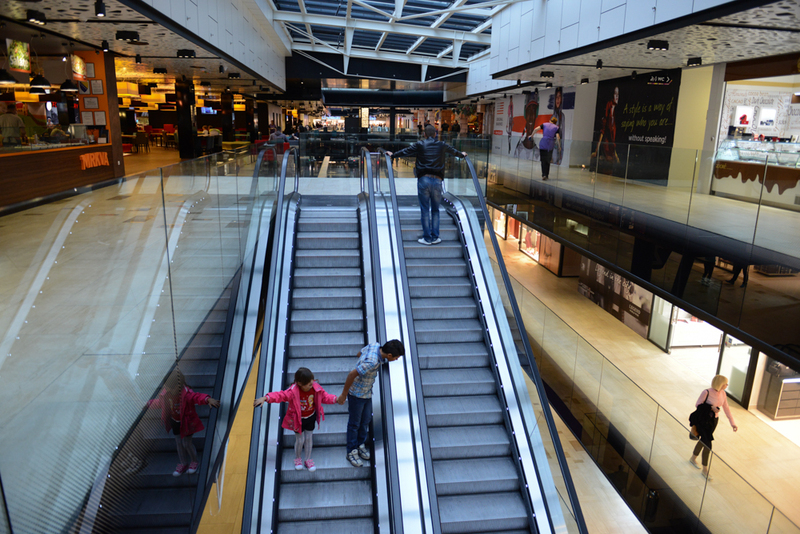 Children ride the escalators for entertainment at the massive Saudi-owned Sarajevo City Center mall designed by architect Sead Golos on October 16, 2014. Alcohol is not served in any of the mall's restaurants due to the mall's Saudi ownership, to the objections of the architect.